In 2014 I bought 23 new albums, I thought then that was pretty few. This year, however, I appear only to have purchased (or acquired) 15 albums that were released during these last twelve months—see the covers above. One was a reissue (Opeth—Deliverance and Damnation), one was a free download (Slayer’s “When the Stillness Comes” for Record Store Day), and two were sent to me for free to review (Krysthla—A War of Souls and Desires, and Siderian—Cancel Your Future). As last year, I suspect a significant factor in my buying so few new albums was my 195 metal CDs project which sees me reviewing a different album every week. 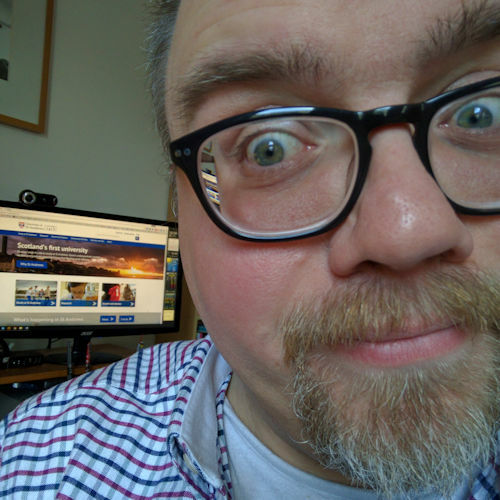 Remarkably, after a solid day catching up with about a month-and-a-half of reviews I am currently still on track to finish that project in November 2016. Before launching into my top 10 though, I’ve just taken a look at my Last.fm top 15 artists over the last 12 months. This reflects what I’ve actually been listening to over the last year: at home, at work, and on my Android phone. 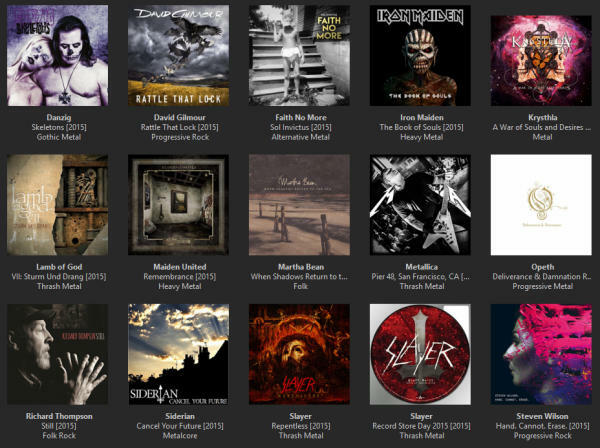 The first thing to note is that the number one artist there, Diabolical Masquerade, accounts for three of my 195 metal CDs that I reviewed this past year. Death’s Design (2007) has definitely been one of my favourite albums of this year but it comprises 61 tracks which explains why it shot to the top: that’s only about ten listen-throughs. Marillion take #2 simply because I was learning the lyrics to Misplaced Childhood (1985) ahead of Fish’s farewell concert in Glasgow earlier this month. And then we’re back to the usual contenders. Comparing this with last year’s chart makes for interesting reading. 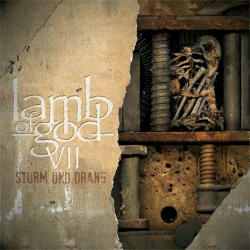 Lamb of God (who released a new album in 2015) rose nine places, while Iron Maiden dropped from #2 to #14 despite a new album; Steven Wilson replaced Porcupine Tree, and Opeth fell from #1 to #6 but curiously with more tracks played. Overall, it would appear that I have actually listened to significantly more music in 2015 than the year before. Looking at my most played tracks during the past year, 11 of the top 15 are from Steven Wilson’s Hand. Cannot. Erase. album. That’s the entire album! And removing the 61 track Diabolical Masquerade — Death’s Design anomaly from the results, Steven Wilson’s latest album was indeed my most played album of 2015, followed by Marillion—Misplaced Childhood, and then Lamb of God—VII: Strum und Drang. Iron Maiden’s highly anticipated 16th studio album was made all the more dramatic in 2015 as it wasn’t released until after singer Bruce Dickinson had been given the all-clear from throat cancer. The first single “Speed of Light” is a raw, stripped down track that immediately left me feeling quite cold. It felt like a left-over B side from the Somewhere In Time (1986) sessions. The problem I have with modern Iron Maiden is ironically exactly what I felt most excited about when Bruce Dickinson and Adrian Smith returned to the band: there are three guitarists. There was something punchy about two: one rhythm, one lead. With three the song writing seems to be compromised: too many chords, too few riffs. I’m a big fan of Metallica live. Their 40th anniversary concerts are amongst the best live albums I’ve ever heard. I would love them to put them out on DVD. This live recording from their gig at Pier 48, San Francisco — a private show for Salesforce.com CEO Marc Benioff — is like a best of from the first six albums. It was also a free download from LiveMetallica.com. 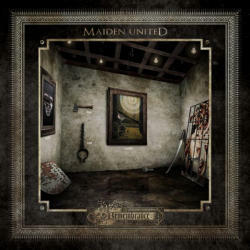 Maiden United, who perform acoustic renditions of Iron Maiden songs, came from an idea by Joey Bruers to put on a spectacular and different show for the Dutch Iron Maiden fan club convention. 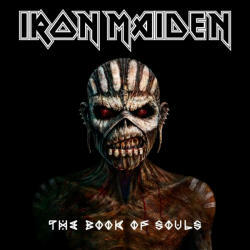 Maiden founder and bassist Steve Harris would be in attendance so it had to be good. It’s more than that: it’s great. This is their third album, and I never tire of listening to these interpretations of classic Maiden songs, particularly “Strange world” and “Remember tomorrow”. 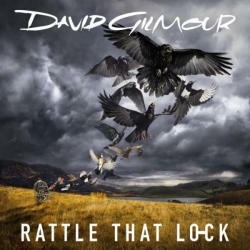 David Gilmour is by far one of my favourite guitarists in all of this fine world. Apart from James Hetfield’s rhythm playing, Gilmour is probably the one guitarist whose style I have most studied and tried to emulate in my own playing. This album is one of my most recent purchases this year so I have not had much time to absorb it, but “A boat lies waiting” (track 4), his tribute to long-time friend and musical companion Richard Wright, is one of the most beautiful songs I’ve ever heard from Mr Gilmour. It reduced me to tears on one listen. Now things are getting tight: it feels so wrong to place this album at number six. I was so disappointed when Faith No More split back in 1998. When they reformed and toured in 2009 I bought a ticket to see them live. It was the most expensive concert ticket I’ve ever bought. 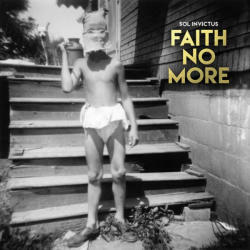 This… is a brilliant album. It’s the grown-up big brother of Angel Dust (1992). 5. 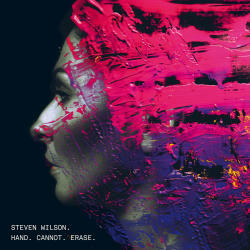 Steven Wilson—Hand. Cannot. Erase. Steven Wilson is a musical genius. I’ve loved pretty much everything he’s touched: Porcupine Tree, collaborations with Fish, Storm Corrosion with Opeth’s Mikael Åkerfeldt. This solo album is no different. This concept album is inspired by the story of Joyce Carol Vincent who died alone in her flat in London and whose body wasn’t discovered for almost three years. I’ve watched the documentary about her, it’s so sad. She was young, she was popular, and yet when he died… nobody noticed. The album is delicate, it’s deep, it’s complex. It is quite simply beautiful. If my car was hooked into Last.fm then this album no doubt would have recorded more plays: I played this album almost constantly to and from work for about four weeks. Following Jeff Hanneman’s sad death in 2013, and drummer Dave Lombardo’s unceremonious dismissal there was much debate as to whether Slayer could return with anything half decent. Oh, and boy did they! Exodus guitarist Gary Holt has been an excellent successor to Hanneman. 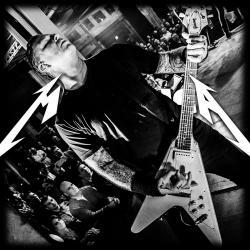 His playing certainly complements Kerry King’s. 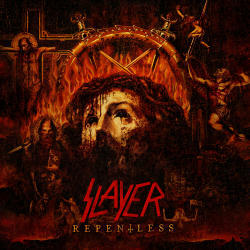 This is by far the strongest Slayer album, I’d say, since probably 1990s Seasons in the Abyss. Welcome back, boys! If I could give all my top three albums equal place then I probably would, but I’m forcing myself to make a decision and so this amazing album sadly drops to third place. Their overall sound seems to be somewhere between modern Napalm Death and Meshuggah. And that is a pretty darned interesting and exciting place to be. The playing is precise, in places like math metal, twisting. And turning. Stopping and. Starting. Something that. Gutworm. Did. I speculated in that review that this album might well make my top three best albums of 2015. And here it is. This is definitely a band to look out for in the future. Brilliant! 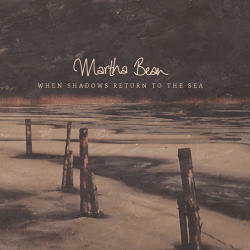 I was first turned on to Martha Bean by four cousins of her cousins with whom I sang in the National Youth Choir of Great Britain, back in the day. They kept posting little plugs here and there for her music and one day this year I thought that I’d go check her out and see what her music was all about. “Flippin’ ‘eck! she’s brilliant,” I posted on my friend Steph’s Facebook wall. And sure enough she is. Go check her out yourself on Bandcamp. Her style is beautiful and delicate but with an underlying strength. She plays mostly guitar or piano, backed by drums, bass and cello (played, I believe, by her dad). The first album since vocalist D. Randall Blythe’s release from Czech prison and subsequent trial and acquittal (if you’ve not read his book Dark Days: A Memoir order it today—it is beautiful and funny and wonderfully, wonderfully written) and it is brilliant. This is a more mature Lamb of God. 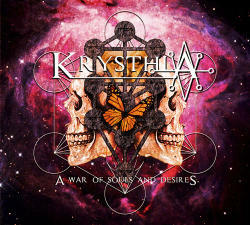 They have their usual bite and twistingly heavy riffs. But this time round they’ve shaken things up with guest vocalists who bring melodic singing and even the first ever clean singing on a Lamb of God record from Blythe—and he has a lovely baritone voice. My favourite track probably has to be 512, the number of the final cell he shared with a couple of Mongolian prisoners in Prague. “Six bars laid across the sky…” he sings, and you’re transported there. “My hands are painted red / My future’s painted black / I can’t recognise myself / I’ve become someone else / My hands are painted red / My hands are painted red”. Such pain, such experience etched into each word. I’ve only been to three concerts in the last two years: two of those have been to see Lamb of God, including this year on my birthday. One of the best concerts I’ve ever been to. This album is going to see me through to next year and beyond. Strum und drang indeed: storm and stress.